Health Minister Litzman claims Israeli pharmacy chain abuses gov't approval to sell medicines on Saturday, says he's turned to lawyers. Israeli Health Minister Yaakov Litzman (UTJ) said on Wednesday that Israeli pharmacy chain Super-Pharm abuses the license allowing it to sell medicines on Shabbat (Sabbath). According to Israel Hayom newspaper, Litzman claimed Super-Pharm sells merchandise, not only medicines, on Shabbat, in violation of Israeli law. 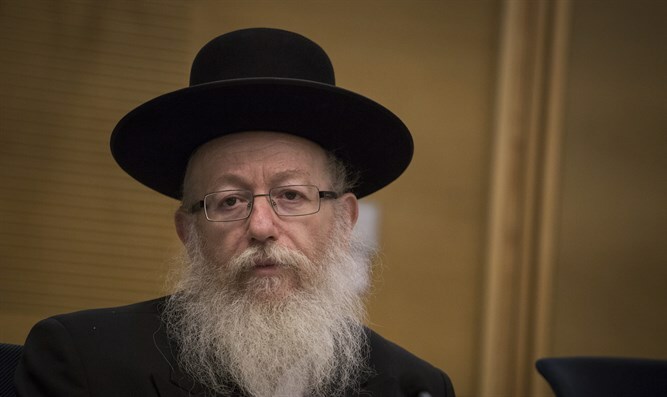 The report also said Litzman had asked for a legal investigation of the matter, and for suggestions of which legal routes were available to deal with it. Super-Pharm received special government approval to work on Shabbat, in order to provide medication for those who urgently need it. However, Litzman said, in the past few years the pharmacy chain has used its Saturday opening hours to sell other, non-medical merchandise, such as cosmetics and laundry detergent. "Since we allowed them to sell medicines on Shabbat, they have increased sales of other things as well," Litzman said. "Today, Super-Pharm conducts regular business on Shabbat, as if it were a mall. They sell cleaning supplies, toys, pots and pans, and neck pillows for long flights - and they even have a sale on travel insurance. This is definitely not related to medicines urgently needed on Shabbat."